Join us for a morning of tea, coffee, cake and maternity rights training! 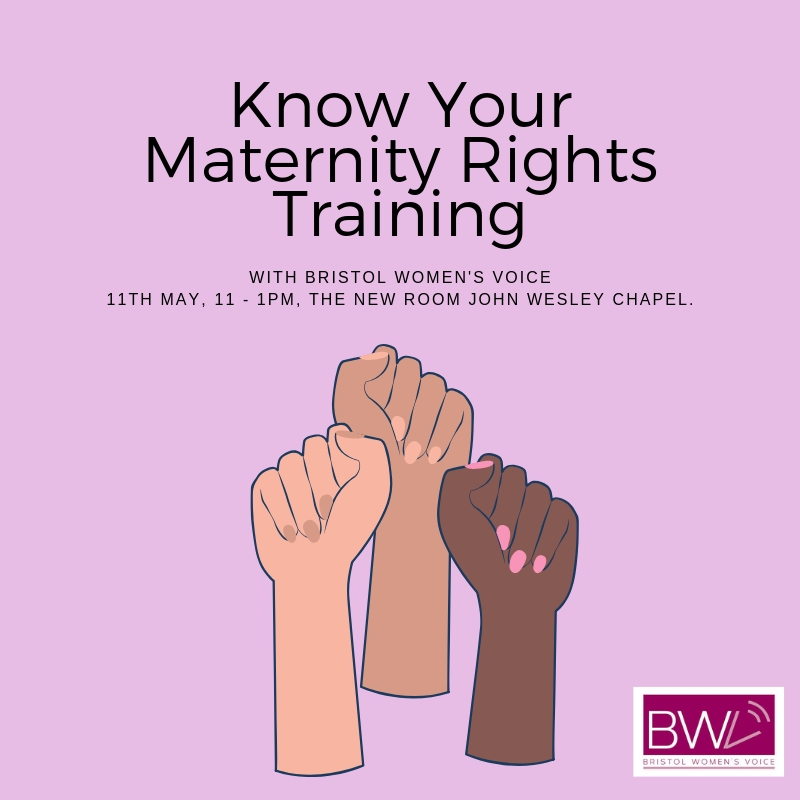 Bristol Women’s Voice is working in the city to equip women with a basic knowledge of their pregnancy and maternity rights at work. Our short presentation will run through your rights from the beginning of your pregnancy to when you return to work. At this session, women will have the opportunity to share experiences, talk to each other, ask questions and learn about some of the places you can seek help if you have experienced maternity discriminaiton. We are able to cover reasonable childcare/ other care costs for those who would not be able to attend the session otherwise. The venue is accessible via stair lift. Please contact us via info@bristolwomensvoice.org.uk for further information. Please note that this workshop is for women only, we may provide workshops for women and their partners at a later date.